Need some last-minute gift ideas? Have some folks on your list who are hard to buy for? Here are a few book suggestions. 1. 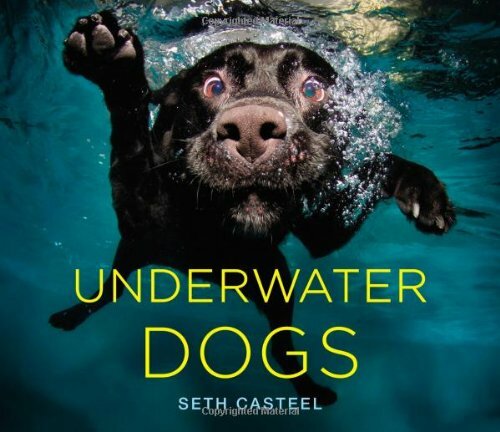 Underwater Dogs, a coffee table book. I gift this quite a bit. It just makes people HAPPY to look at these pics of some very motivated dogs swimming underwater. If they already have it, my pick this year is Harlow and Sage: A True Story About Best Friends. (2 dogs made famous by their Instagram.) Need more words than pics? Dogtripping by David Rosenfelt is a wonderful memoir of an author who went to crazy lengths to save some dogs. 2. Bomb: The Race to Build and Steal the World's Most Dangerous Weapon. Nonfiction, but reads like a Clancy novel. Espionage, intrigue, and plot twists galore. Fascinating (quick) read, especially for your history enthusiasts. 3. Girls who read on a middle school level? This year I LOVED Snicker of Magic by Natalie Lloyd and The Meaning of Maggie. Both so well written, both quirky and fun with lots of heart and “aw” moments. Both books receiving a ton of buzz. 4. Boy readers? My jr. high guys love anything by John Flanagan (Ranger's Apprentice), the new Diary of a Wimpy Kid, all things Percy Jackson, and The Last Apprentice series. 5. Another middle grade/elementary suggestion: The Warriors series by Erin Hunter. The covers kind of make me laugh, but I can't keep them on my shelves. 6. For fun: Nail Candy: 50 Ideas for Totally Cool Nails. 7. The chefs in your family might like the NomNom Paleo cookbook. Sometimes healthy food is difficult to prepare or gross. This collection of recipes are really great and very normal. This is my favorite cookbook right now. 8. Know someone who likes to bake? Popular books in my library are: The Big Book of Cupcakes, The Big Book of Cookies, and Cakepops by Bakerella. 8. Picture book readers: Tuesday Tucks Me In and The Day the Crayons Quit. LOVE LOVE LOVE these books.